Electrons occupy the energy levels of an atom. Energy levels are arranged around the nucleus in concentric orbits. 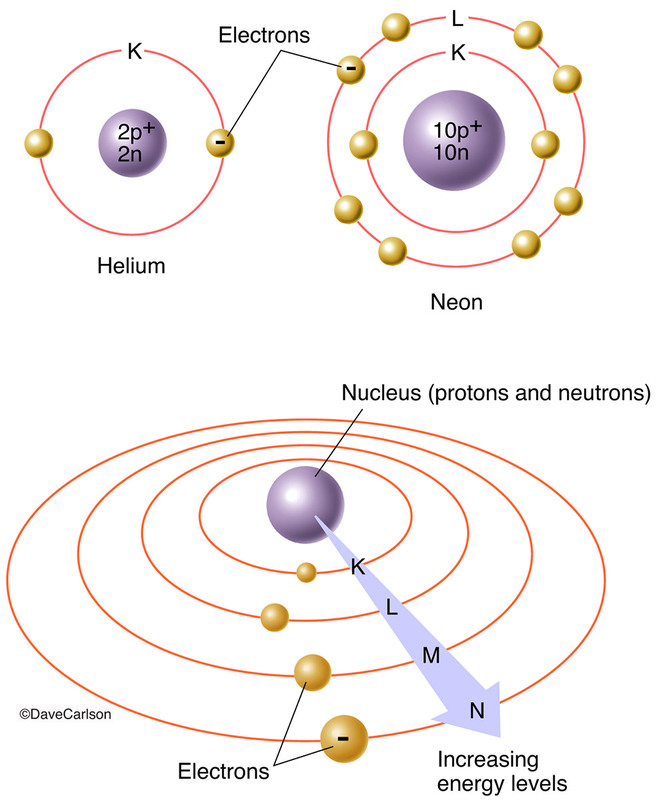 The amount of energy in each level increases in proportion to its distance from the nucleus. Image © copyright by Dave Carlson.